Kimbell Royalty Partners, LP (NYSE: KRP) is an oil and gas mineral and royalty limited partnership based in Fort Worth, Texas. 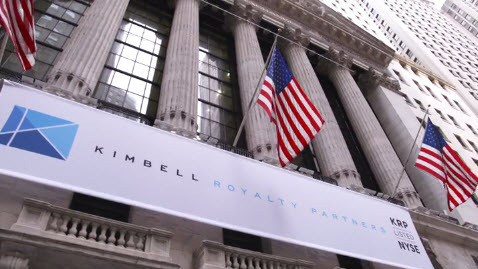 Kimbell is managed by its general partner, Kimbell Royalty GP, LLC. 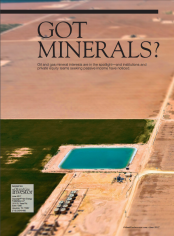 Kimbell owns mineral and royalty interests in approximately 13 million gross acres in 28 states and in every major onshore basin in the continental United States, including ownership in more than 92,000 gross producing wells with over 40,000 wells in the Permian Basin. KRP is a variable distribution limited partnership, and our general partner holds no incentive distribution rights. The company converted to a taxable entity on September 24, 2018 in order to target a significantly larger investor base both domestic and international, increase liquidity and support its continued growth and consolidation strategy. As a result of this conversion, investors in KRP common units will receive a 1099-DIV (no K-1).